Promising to name an extra-large breed pig after next year’s winning book, the Bollinger Everyman Wodehouse Prize jury isn’t laughing this year. Nobody gets the prize. They are not amused. You’d think almost any author could be pretty funny for a case of cuvée. And the Bollinger Everyman Wodehouse Prize for Comic Fiction traditionally is presented during the Hay Festival–which opens Thursday (May 24). The prize normally comes with a case of Bollinger Special Cuvée, a jeroboam of Bollinger, a complete set of the Everyman’s Library Wodehouse collection and the naming of a rare breed pig after the winning novel. The program is promising to up the ante in 2019 to a methuselah of Bollinger and “a particularly large rare breed pig” named for the winning book next year, no doubt in hopes that an entry will meet the key criterion of making the judges laugh out loud. In a prepared statement, Campbell is quoted, saying, “My fellow judges and I have decided to withhold the prize this year to maintain the extremely high standards of comic fiction that the Bollinger Everyman Wodehouse Prize represents. “Despite the submitted books producing many a wry smile among the panel during the judging process, we did not feel than any of the books we read this year incited the level of unanimous laughter we have come to expect. And speaking for the family-owned House Bollinger in Aÿ, the heart of the Montagne de Reims, the director, Victoria Carvantan, is quoted, saying, “The decision taken by the judges this year is akin to the way we produce Bollinger’s Prestige Champagnes. They are created when the harvest reaches a perfect balance, and only very high quality harvests become a vintage. “Perhaps today’s comic talent feel they can’t turn away from the world they’re writing in, but channel humor through ambiguity and discomfort, rather than diverting from it. 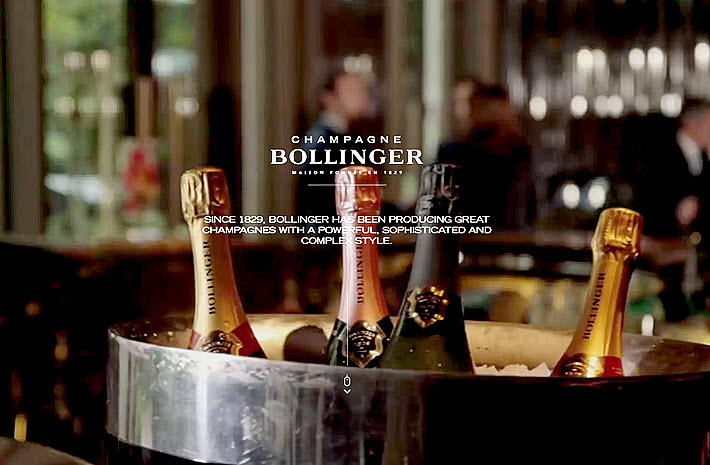 Champagne Bollinger was established in 1829. The Everyman’s Library compilation of PG Wodehouse’s work (1881-1975) reached 99 titles and is said to be the first full collection of the authors writings.